Ford will soon introduce an off-road ready F-Series Super Duty model, but it won’t receive the automaker’s well-regarded ‘Raptor’ badge. Speaking at the recent Deutsche Bank Global Automotive Industry Conference in Detroit, Ford’s president of global markets Jim Farley indicated the new Super Duty-based model would be similar to the Raptor, but different. It sounds as Farley is alluding to a Super Duty based pickup with off-road features like raised up suspension, knobby tires, more robust shocks and the like. Such a product would compete directly with the Ram Power Wagon and would also one-up General Motors, which does not currently have an off-road version of its heavy duty Chevrolet and GMC trucks. The F-150 Raptor’s 450 hp twin-turbo 3.5-liter V6 might be a decent candidate for the Power Wagon-baiting F-Series Super Duty. A bit more power to help haul around that extra weight would be welcome, though. If the world were perfect Ford would drop the supercharged 5.2-liter V8 from the Mustang GT500 in this yet-to-be-named new truck, but we’re probably a dreaming a bit too big now. In addition to the off-road Super Duty, Ford also divulged plans to introduce a fully electric F-150 alongside the forthcoming hybrid at the Deutsche Bank Global Automotive Industry Conference. It also indicated its plans to electrify the transit and compete with the Mercedes-Benz eSprinter. 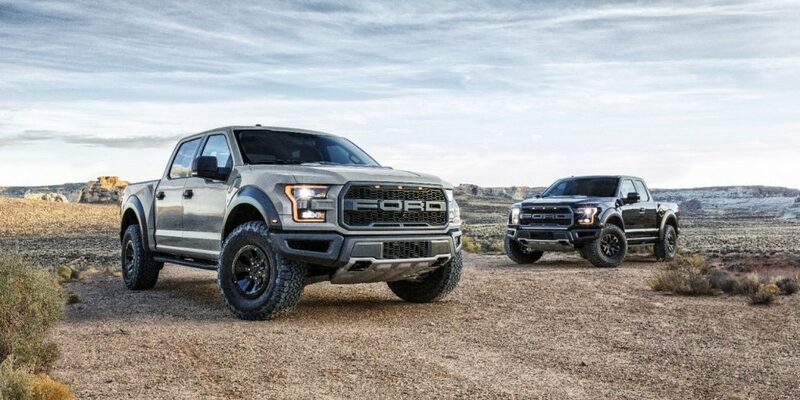 It’s not clear when the off-road Super Duty may arrive, although a debut sometime this year isn’t out of the question.